At 43 years old, I carry many scars. Scars you can see and many you cannot. After losing 132 pounds a year and a half ago, my body is now covered in scars—-scars from stretching skin beyond its capacity. These scars on my body are an outward sign of the healing scars on my heart, and in my mind, as I acknowledge and continue to struggle with my idolatry of food. I have had feelings of deep shame when I see them. Shame at what I did to my body for so many years. Embarrassment that even though I am now at a healthy weight, I must continue to wear my past as a reminder of my sin. Why is it that an eight-year-old boy can confidently point out, and be proud of his scars, when mine are hidden? To him they represent adventure and boldness, and a willingness to live life to the fullest, while mine represent secrecy and shame? I have had so much praise and acknowledgement of my effort to find health in my life and on the surface people see a woman, confident in her “own skin.” They don’t know that, under the clothes that my skin is damaged beyond repair, forever a reminder to me of my past. I have found comfort in reading the words of Paul as he shares his own trial with his flesh. We never learn what Paul’s “thorn” was, nor do I think it is relevant. 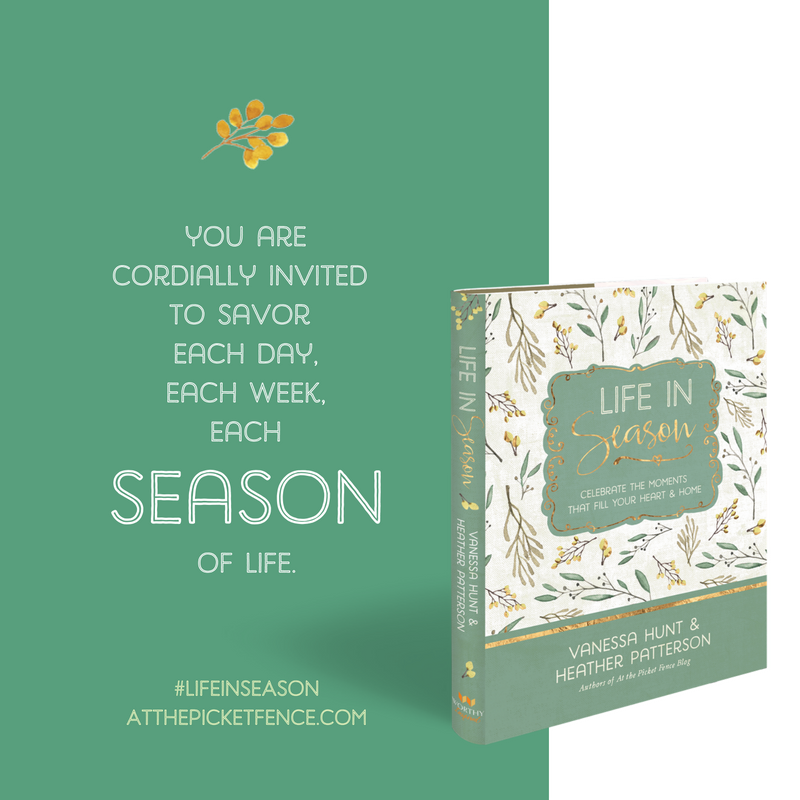 What we can learn, through Paul, is that often God allows trials to placed into our lives to remind us of our ability to conquer fleshly desires, through the grace of Christ Jesus. That through these trials, and the reminder of them, we may remain humble and mindful of all that God has helped us to overcome—- but in that overcoming often scars remain. While Satan says that my scars are a reminder of sin and failure, Jesus says that my scars are a reminder of overcoming and triumph over sin! My scars make me a conquer and overcomer! Jesus carried his own scars as a reminder of his victory over death. 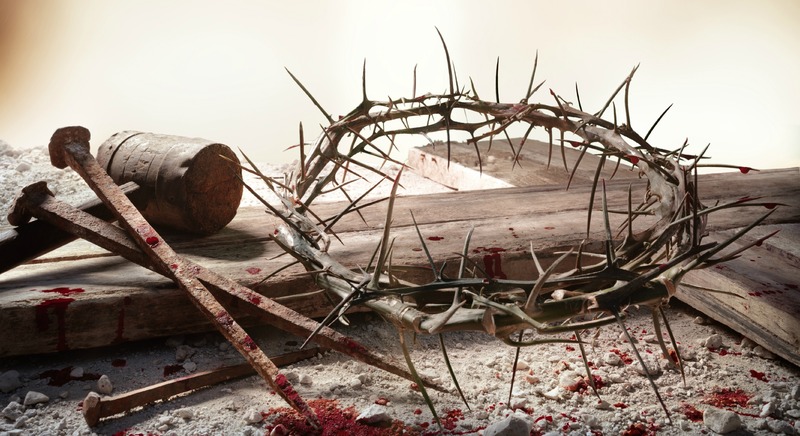 He was pierced for our sins and yet rose again, his scars as a testimony to overcoming the grave for all of eternity! In fact, he was asked to show them as “proof” that he was the Christ, risen. Are we capable of seeing the scars in our lives in this way? As trophies to be shown proudly of that fight we have one. As memorials to what we have conquered in our own lives? Can we identify with Jesus, on this Good Friday, as he held out his scarred hands, to his beloved disciples, as proof that he was ALIVE? 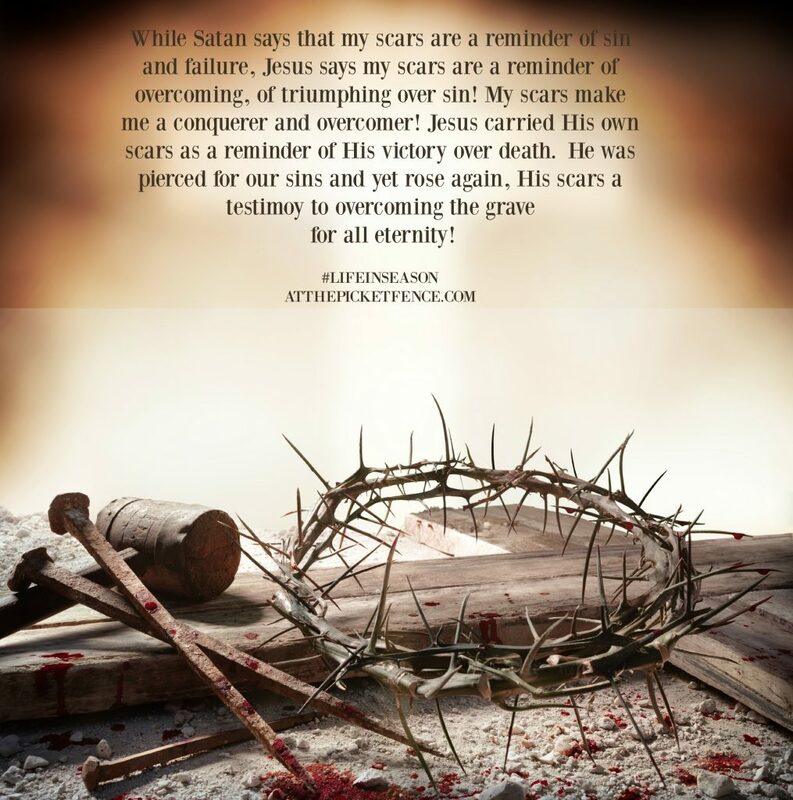 Can we see our scars as a victory over sin and not something to be ashamed of? I pray that as you remember the wounding and death of our Savior and, three days later, his triumphant resurrection that you will also remember that he bears scars, scars that represent eternal life for you and for me! Lovely and touching story, thank you for sharing. A reminder for us all. Happy Easter! Just perfect analogies Heather! I never looked at it that way….thank you so much for this post! Have a wonderful Resurrection Day as we remember His scars showing His love for us. What a perfect way to remember Good Friday. Marks of a mission! Happy Resurrection Day to you and your family. Beautifully written! Thank you for this. I am going to try and get your book, it sounds wonderful! Heather, thanks so much for sharing your personal story. Since I have stumbled and fallen before, I can definitely apply this to my life. I wish you a Happy and Blessed Easter. He is risen Indeed! I completely understand, after losing and regaining and losing and regaining, I am so disgusted with myself and have so much self-loathing. Thank you for your words. I needed them. A very beautifully written post. Thank you for sharing and also for including your shares about yourself and your son. I am very happy I stopped by. May you and yours have a beautiful Easter SONday and a lovely Happy Pink Saturday too. Thank you, friend, for this testimony, and for sharing your journey that has helped so many, including me! I am forever grateful! Easter joy to you both, always. So beautiful, Heather! Thank you for sharing this. What a beautiful testimony. We are more than conquerors through the Lord Jesus Christ! Romans 8:35-37 Thank you for your humble, courageous sharing.